Is MLM easy money? Heck no! Anyone who tells you that making money in ANY type of business is fast or easy is definitely lying to you. Building a successful and profitable business of any type normally takes several YEARS of HARD WORK. Just ask any entrepreneur! Unfortunately, many folks are sponsored into the network marketing industry with FALSE expectations. Either their sponsor hypes them up with promises of making big money quickly or tells them that building a business is easy and requires little work. Or even worse, the prospect has a lottery mentality about the business. In other words, they think that by “signing up” money will magically show up in their bank account every month. These false expectations ALWAYS lead to disappointment and broken dreams. I think network marketing is very simple, but it’s definitely not EASY. Becoming successful and making the big bucks in network marketing will be very hard to do for most folks. It takes someone with a strong work ethic, a big burning desire, and some great sales and people skills to succeed. Most folks don’t have these skill-sets and aren’t willing to learn them. However, I do believe that just about anyone could build a $200 to $500 per month part-time network marketing business, with some consistent work. Anyone could find five to twenty customers over the period of three to nine months IF they had a good game plan. And that extra money would improve the quality of life for a lot of people. The truth is, most businesses fail. Depending upon who you ask, nine out of ten businesses fail in the first five years. This includes traditional businesses, online businesses, retail stores, etc. Network marketing is no different. People rarely complain about the failure rates in these other industries, but they always make a big deal about it in MLM. I don’t get how it’s any different. To be quite frank with you, I personally don’t think most people fail in our industry. Instead, I think most people quit. And they usually quit because they had unrealistic expectations or they weren’t willing to do the work. Please don’t confuse the difference between failing and quitting. Anyone who didn’t work their network marketing business consistently for at least two years did not fail. They quit. You can’t quit something you haven’t started. Never forget that. Through the years, I’ve owned traditional businesses, online businesses and several network marketing businesses. None of the businesses were quick or easy money. I don’t think such a thing exists, not legally anyway. Every business I’ve ever owned took me at least a year to get profitable and running smoothly. Some took even longer than that just to get profitable. For most folks, MLM is probably NOT a good business opportunity for them. I’d bet that nearly ninety percent of the people in our industry shouldn’t be an entrepreneur to begin with. Most of these folks do not have the capital, proper skill-set, or entrepreneurial mind-set to start and build a successful business. I’m not knocking these folks. It just takes a certain mind-set and skill-set to succeed as an entrepreneur in any business. Most of the folks who enter our industry are either broke, unemployed, or desperate for work. Once again I’m not knocking these folks. I’ve been all three of these things at some point in my life. HOWEVER, being broke, unemployed or desperate for work does NOT make you a good candidate to start your own business. If you fall into one of these categories you should really just get a job, or develop a little retail business with your MLM Company. The bottom line is that MLM is NOT easy money. No business is. I still think it’s a great way for someone to create wealth and leverage and have their own business. But, it takes a special person with unique talents and a big burning desire to make it to the top ranks. What’s great is that you don’t have to have these skills when you join. You just have to have the vision, the commitment and the discipline to develop them. What do you think? Leave a comment below to share your thoughts. I look forward to hearing from you. This is a great post Chuck. I believe this is the major factor in the MLM revolving door. So many people have the assumption it is like a “money tree.” It isn’t easy money. It is like any other business. It takes commitment and hard work. It takes determination. I love how you point out that network marketing is probably not for those who don’t have any money coming in. Like any business, it takes time to start profiting. Thanks for your honesty. I’ve never found any business that is designed to provide immediate cash flow. Most businesses take a couple years just to get profitable. I need to print out this article and hand it to everyone considering becoming a part of my team. MLM isn’t a get rich quick scheme though many people are for some reason very convinced that it will be. Then when they discover that this is not the case they either slack off or drop out all together. Sometimes I can spot these individuals because all of their interest seems to be in the money aspects and not in the business building, so I can kind of steer them away from this route. No business is easy money! Just ask anyone who owns a business. All network marketers should have a business plan! That’s what serious business owners do. A great point about how the only ‘easy money’ out there is probably being obtained illegally. Legally obtained money is not easy money, it requires hard work, resources, the right tools, determination, and maybe even years of struggle before hitting any kind of jackpot. A lot of people knock MLM because of its rate of failure, but I think it’s because the majority of people who join MLM businesses aren’t cut out for that kind of work. They join with certain expectations (easy, fast money), but when reality hits and they realize that MLM requires just as much hard work as any other job, they drop out. It’s not the nature of MLM that leads to failure, but the nature of some of the people who try their hand at the business. Like you said, no business is fast or easy. Running a successful business of any kind is hard work. Like anything in life, if it seems to good to be true, it probably is. If someone claims MLM is easy money, they probably haven’t invested the necessary time and energy toward making their MLM business solid and it will eventually fail. MLM and being an entrepreneur isn’t for the lazy. Anything worth doing requires dedication and serious effort. I always cringe when I hear people mention joining an MLM because they need a little quick cash. I know that in six months (or less), I will have to listen to them go on and on about how the opportunity was a complete rip-off and they were cheated out of their money. I have shared your blog with a number of friends who have considered joining the MLM world for those reasons. MLM is like any other worthwhile career choice: it requires homework, effort, hard work, and putting in your time. The only thing about MLM is, there is no vacation time. However, the greater the risk and effort, the greater the potential reward. Keep at it! No business is fast or easy money. Anyone looking for quick money needs to get a job or go to Las Vegas. Forgive me, but I just had to laugh at this comment. I don’t think either of those methods are quick money either. About the only way to get quick money is to do something that could land you in prison if you get caught. I would say that if you need money yesterday, selling something on eBay or having a garage sale may be your best bet. As for network marketing, the money isn’t quick or easy, but with determination and hard work, the money does come. If you are one of the people telling others they can get fast money in MLM, please stop, because you will just lose them soon. 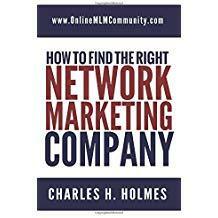 MLM is more of a long-term project for residual income.